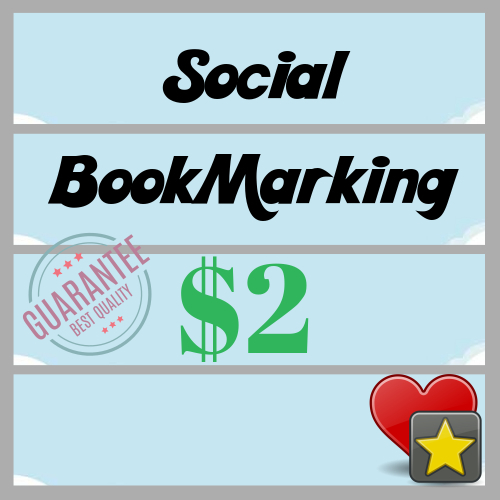 Hi, I will give you permanent and manual 16 High PA DA social bookmarking that help to google rank only for $2. If you need more than 16 permanent and manual High PA DA social bookmarking, then please check extra or contact me first. Just send me your website or URL which one you want to rank for search result. Send me some SEO targeted keywords and if possible then send me a little short description with your order. After completed, I will send you the full working report, so you can easily verify my work, it's really awesome service. Don't forget to bookmark or Add to favorites this service for future use or follow me on my seoclerk profile.